I know that there is an upcoming Man of Steel sequel which is a yet-to-be titled "Batman vs Superman" movie and I also know that the Batman character which will be played by Ben Affleck will also have a new look on its batsuit but it never came into my knowledge that the people behind this high-profile franchise will also redesign the popular batmobile. 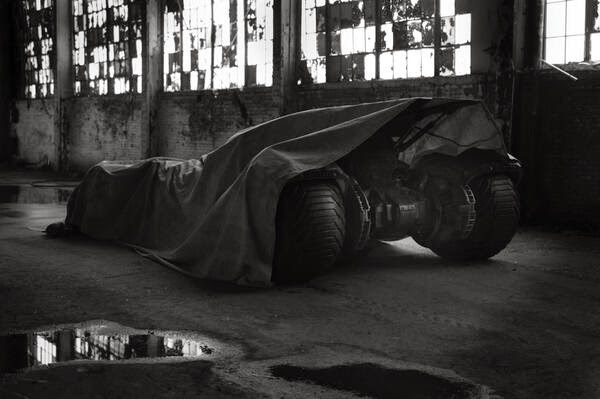 I didn't know until director Zack Snyder tweeted the image of the partially-revealed and tarp-covered new Batmobile today with caption that says "Could be time to pull the tarp...Tomorrow?" Whatever that I means, I don't know, but seems like we are up for a treat atleast tomorrow. Let's find out. What can you say about this new batmobile? Looking at this particular photo, it's very clear that the design is not from what we saw in the Dark Knight Trilogy. It's more of a classin look. I just can't wait to see the full glory of this new machine.